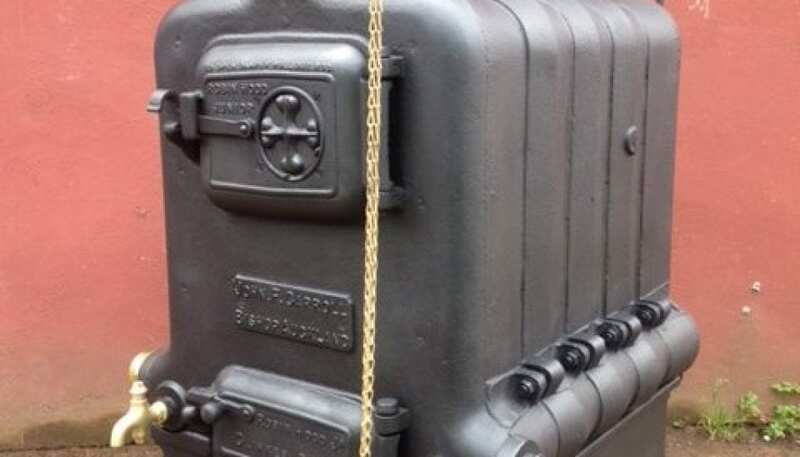 This is a Robin Hood Junior boiler that we have restored for the newly restored gardens of Hadspen House, Somerset. It was first installed in 1926 in the Co-op Warehouse, Hayling Island and provided heating for the entire facility. Osborne Restoration source this extremely rare appliances and have brought it back to working condition to power the glass house at the historic gardens.